All of the projects are done on Weeks Dye Works 30 ct Putty linen. 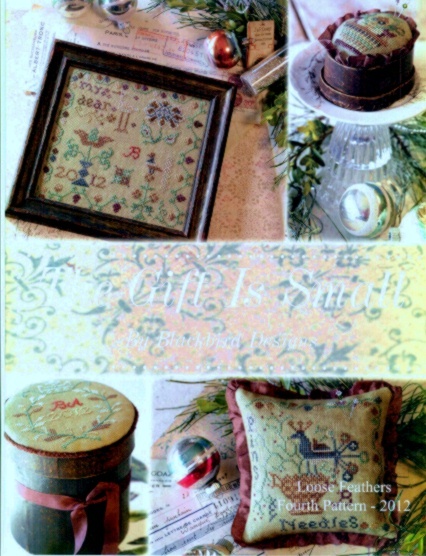 The sampler takes a 12 x 12 piece and the other smalls each take 6 x 6. There is also a conversion for the floss to DMC.